If you’re reading this, you must be interested in a career as a professional security guard and there are many perks to the job role. In this article, you will learn exactly what the guarding officer role includes and how to go about applying for a job within the security industry. Being interested in a security guard training course is a fantastic opportunity to work as a licensed, trusted officer within an array of small and larger establishments. With all the potential threats in today’s security, this industry is a field that will never be eliminated as there is a consistent need and requirement for it. There are endless opportunities to be employed by any company as almost every business utilises some form of security. From local businesses, nuclear power plants, banks, airports, retail stores, retirement homes and casinos, the opportunities are endless. A successful career in the security sector enables you to deter crime, protect people and places while gaining secure and well-paid jobs within well-known establishments. Contracts with retail units, nightclubs and major events are within your reach. A security guard is hired to maintain a safe and secure environment for customers, employees and visitors of a premises or personnel. In general, an officer should maintain a high visibility presence and prevent all inappropriate or illegal actions. Depending on the specific role, your job may differ from time-to-time. 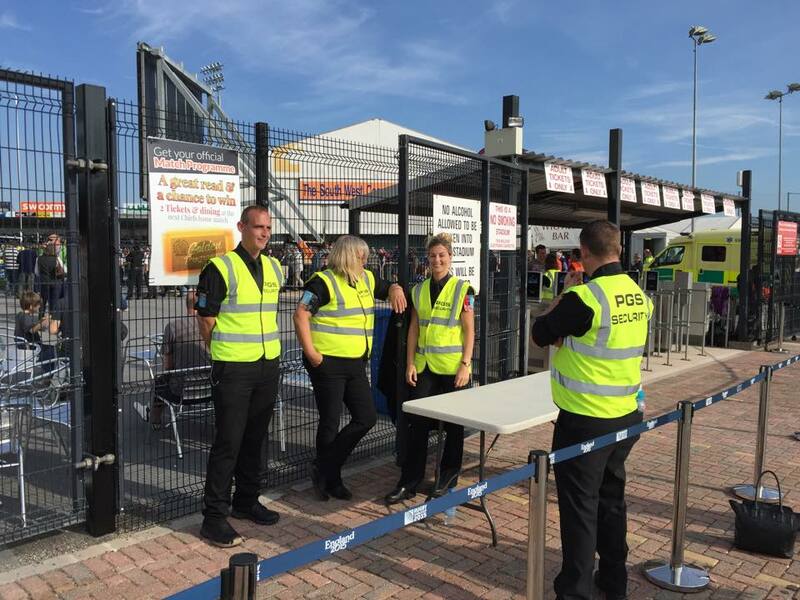 To work as a professional security guard in Exeter or the UK, you must be SIA (Security Industry Authority) licensed. Without this license, it is illegal to work in any capacity as a security officer, except for those in-house or directly employed by a client. During this course, you will learn common security knowledge, how to become a guarding specialist and how to manage conflicted situations. It is suggested that on completing your course, you take the door supervision course as this will qualify you to work as both a professional door supervisor and guard. Providing that you meet all the licensing requirements you’ll receive your SIA badge within a few weeks and then you’re good to go. Security officers function within a broad array of settings and generally, the career is very diverse. When working as a security guard, many jobs can involve driving, working alone or within small and large teams. Generally, uniforms are worn and a considerable amount of the time may be spent on foot and you may be allocated to a particular area. It must be taken into consideration that jobs at time could potentially be dangerous or unexpected, therefore you must always be prepared. As a security officer, you may deliver round the clock surveillance by working rotating shifts. Some officers may be expected to work long hours, around 48 hours a week. To learn more about recruitment and positions at Platinum Gate Security, please contact us today.